Are you wondering how Channels are getting thousands of Subscribers? If you own a channel and want to be one of them then try below trick. it is very simple and 100% legal way to increase your subscribers or Audience. Before starting please note that internet is full of "How to increase YouTube Subscribers", some of them are simply amazing while few tricks are totally fake and can move your YouTube Channels toward destruction. Please always follow gentle tips and Tricks. YouTube Subscriber Button is the key to Grow audience or to get your content in front of more users. This is what a typical YouTube Channel looks like when some one visit. YouTube Subscriber Button tucked away up in the top right corner. 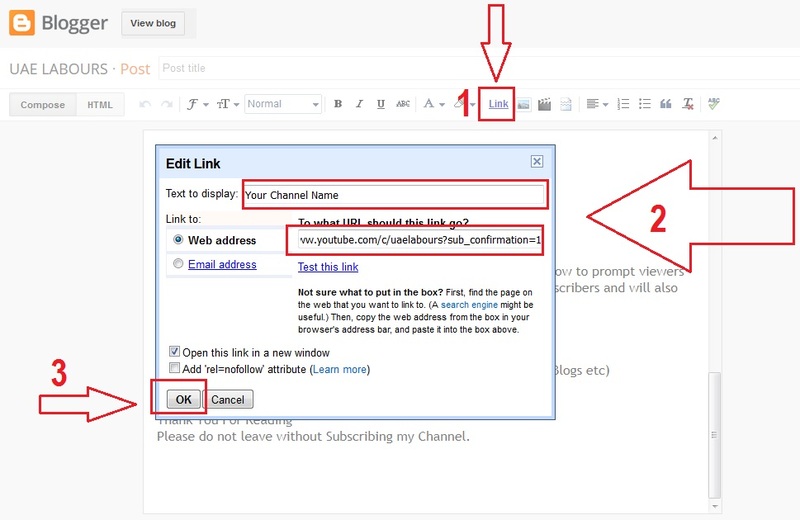 Convert your YouTube Channel button into a popup window or you can say a welcome window. see below image with center Subscribing Button. 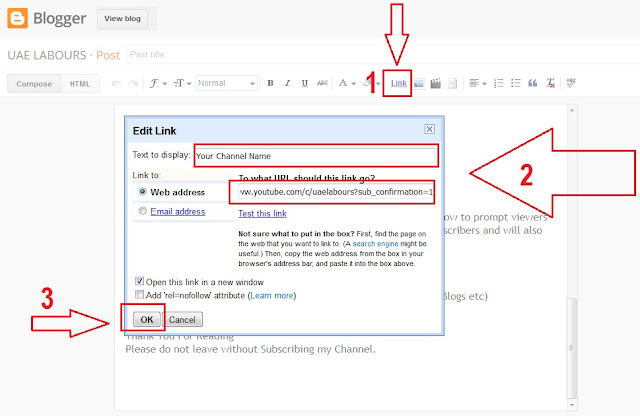 Whenever someone visit your YouTube Channel, your YouTube Channel Button will welcome them with Subscriber button. How to create a Popup subscriber button? Copy your Channel URL and paste it somewhere. Now your Channel URL is converted into a pop up or welcome window to prompt viewers to subscribe your channel, and believe me it will increase your subscribers and will also improve your channel rating by over 300%. 1. If you are sending a subscription mail to someone through Email, Always Send new URL along with ?sub_confirmation=1 as a Link. 3. Add same URL to all links related to your YouTube Channels. I hope it will work, Please do not leave without Subscribing our Channel by clicking below button. Ever wanted to get free Facebook Followers, YouTube Views, Google+ Circles, Twitter Followers, Instagram Likes, or maybe SoundCloud Listens? Did you know you can get all of these Likes, Followers, Views & Subscribers AUTOMATICALLY & TOTALLY FOR FREE? All you got to do is join the following Social Exchange sites, earn free credits and exchange them for Followers, Subscribers, Likes or Views to your Social Accounts. You can use the credits to advertise your social network profiles for free. Are you looking for free Facebook Followers, Google+ Circles, Instagram Likes and other social network actions? Did you know you can get all of these Likes, Followers, Views and Subscribers AUTOMATICALLY AND ABSOLUTELY FOR FREE by using You Like Hits. I've been using a service called BuyRealMarketing but I never knew that there's such thing as subscriber pop-up button. Would definitely try this one out, thank you! Such an amazing blog about the live subscriber and I really appreciate you work which you have done well. These tips are great! 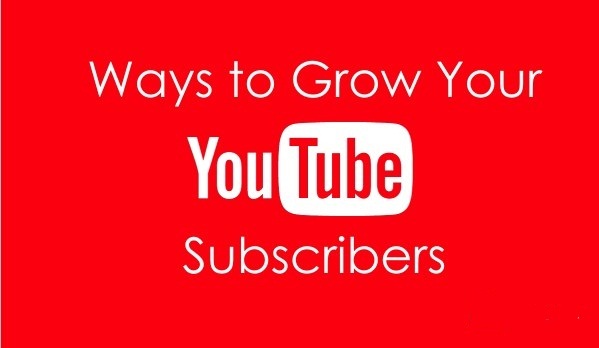 If you need another help to increase your YouTube subscribers, just click this link https://goo.gl/rk3o2n. Nice article and very effective tips! BuyRealMarketing can also help you. You can visit them and ask question for they have a live 24/7 customer service. Hurry! If you want real YouTube video views that can propel your videos to the top of the lists, Social King makes it easy for you to buy video views fast and affordably. The smartest way to get started on your path toward YouTube stardom is by joining forces with Social King, because we help you to get YouTube likes and buy YouTube favorites fast. I am a regular member of this site, I always notice that your blog posts are so unique and well explained with deep information. Tnx for the splendid post. I must share your post on my social medias and "Buy youtube subscriber" for giving you maximum coverage of visitor of the post.